Our goal is to bring out the best in each child. 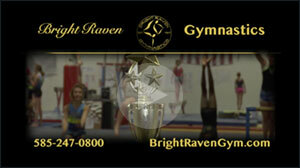 Bright Raven is the largest gym in Rochester, NY. Recently expanded – we now have 23,000 square feet of state of the art training space. Stay up-to-date with Bright Raven! Copyright © 2019 Bright Raven Gymnastics. Powered by WordPress. Theme: Accelerate by ThemeGrill.